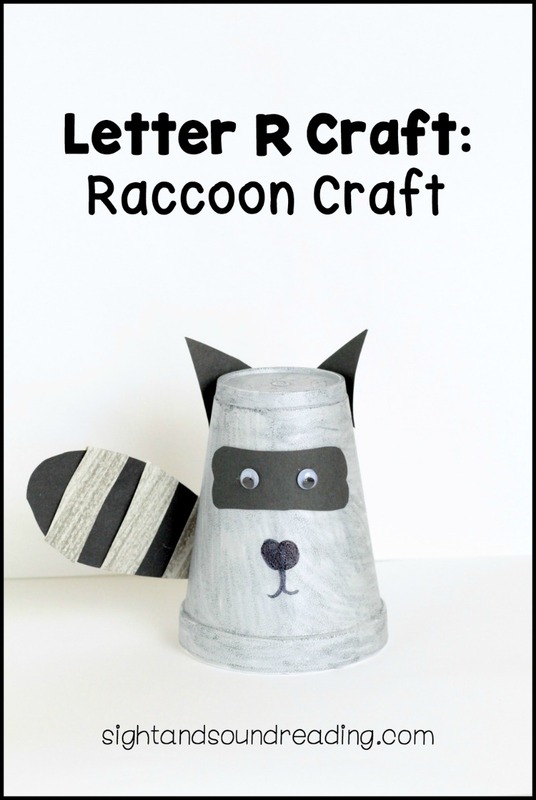 If you love raccoons, you’ll love this adorable Letter R Craft is for Raccoon craft. I love making crafts from materials that I already have lying around, and this time, I made this raccoon from a disposable cup I had lying around. A few pieces of paper later, and the adorable raccoon is born! Use this craft when learning about the letter R or when studying raccoons or other night creatures. 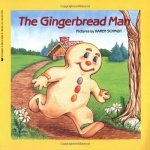 Today, I also have a few great books that are fun to read when teaching the letter R sound. Have fun! 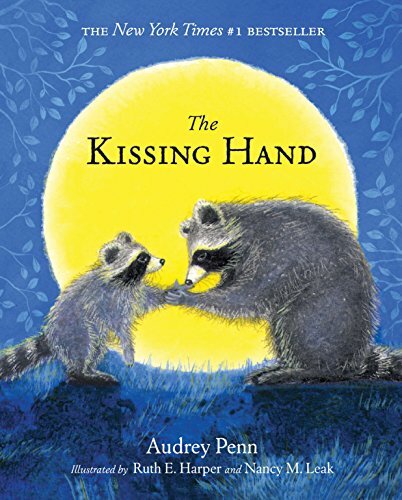 Another great book that is perfect to read at the beginning of the school year (and that has a raccoon as the main character), is The Kissing Hand! 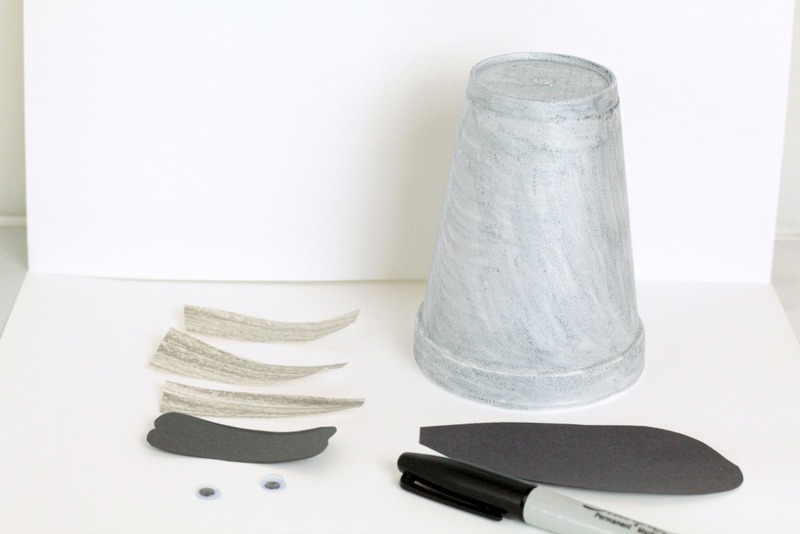 If you can purchase grey cups to use with this project, your life will be much easier. Check party stores for grey cups. Silver colored cups will also work for this if you can’t find actual grey. If you use styrofoam cups, you have to color it in with a permanent marker. And since little kids can’t really handle permanent markers, if you do it this way, you’ll have to color a dozen or more styrofoam cups in advance, which would take FOREVER. So, definitely look for grey cups if you’re making this project with a lot of kids. If you’re just making one at home, you can color a styrofoam cup. Cut out a black mask, three white strips of paper, a black tail, and 2 black ears in advance. 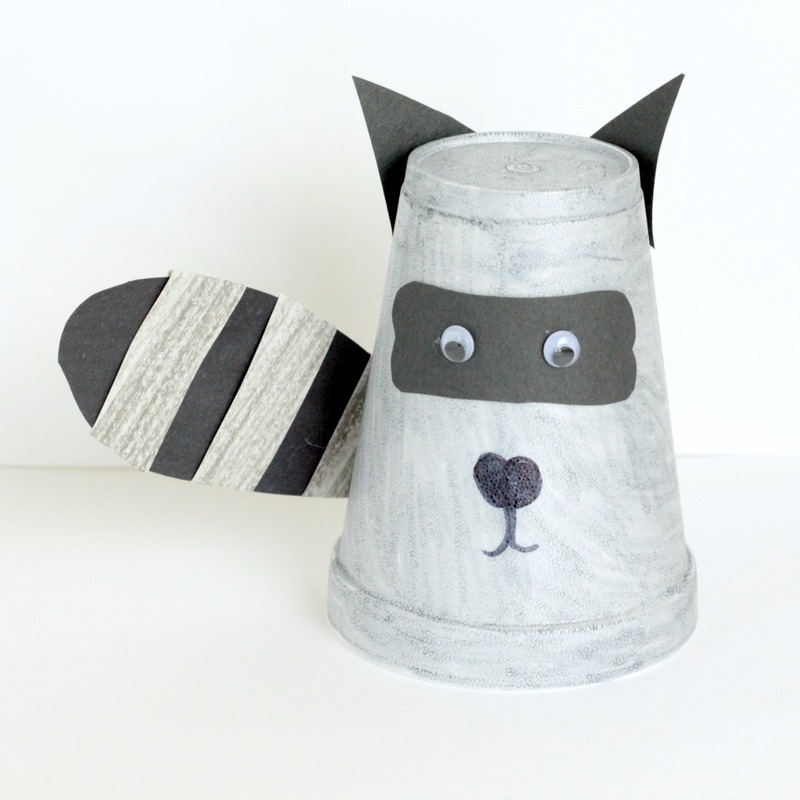 When it is time to make the craft, have the kids color the white strips of paper grey and glue them to the black tail to make the raccoon’s striped tail. Glue the mask to the cup and the ears to the top of the cup. Glue the eyes in place, then draw on a nose and mouth with a marker. The raccoon craft is ready to go! 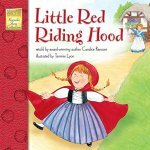 Free Letter R Worksheet Pack!